The brass knuckles may look like a fashion accessory on the bike, but they are actually functional as well, being used as a handle to lift the bike. Usually people use the plastic seat which puts a lot of pressure on the cross bar. Jarrett was inspired by some brass knuckles he saw on another bike that where being used as a choke. 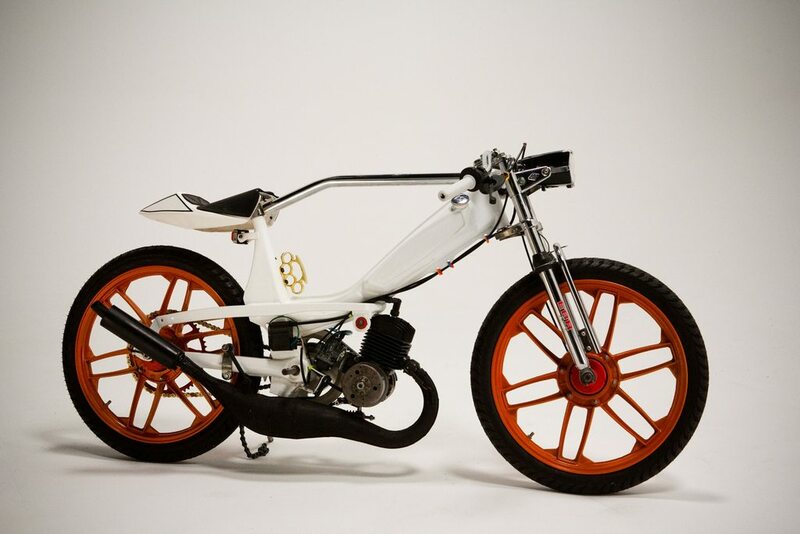 There is not much to these mopeds, but Jarrett has managed to stamp his style on nearly everything he possibly could. 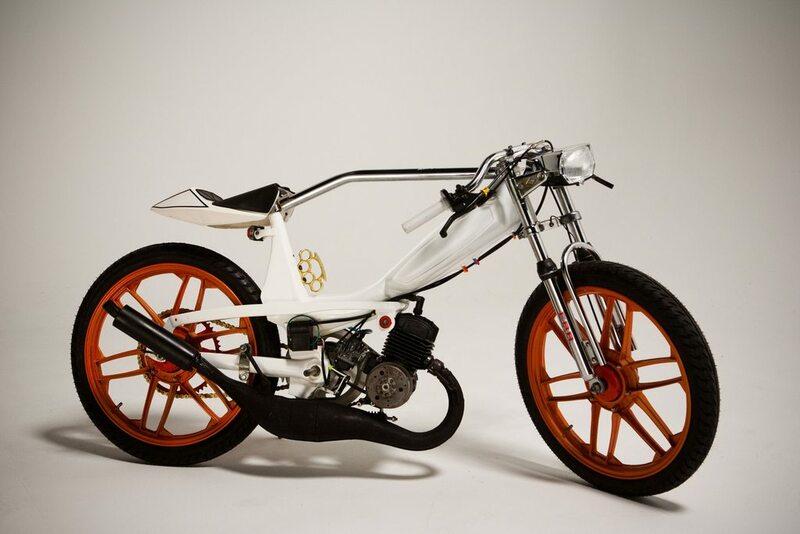 Including new chrome forks which are made by EBR, striking angled cross-bar, customising a seat from a Polini racing pocket bike and new ‘freshly squeezed’ orange rims. It’s not all show either. 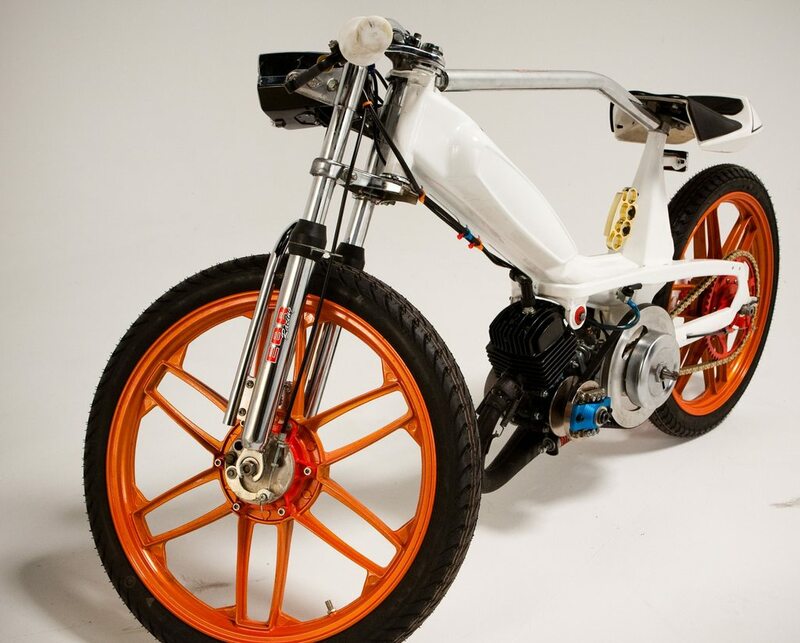 Jarrett having previously worked at Austin Mopeds as a mechanic also took the moped well beyond its stock performance. Replacing the original AV7 crank cases with a set of AV10’s. He also opened the airtake and then matched the transfers to a 50cc Doppler cylinder. A machined Doppler endurance crank was used because the bike hits very high RPM’s and cheaper cranks can’t handle it. The exhaust is from a Ninja G3 and helps the two stroke engine scream out louder than ever before. The moped as stock should have a max speed of 30mph. After Jarrett finished with it it now hits 50mph. 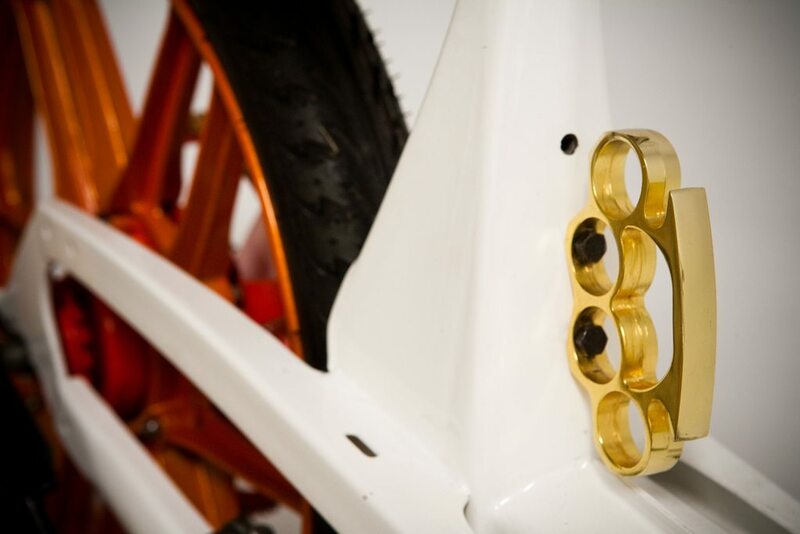 Lastly the gold 420 racing chain was chosen to match those gold brass knuckles for the final visual punch.